More Qualified Candidates. Faster. Easier. Hiring more than 10 employees a month? Click here to request information about an automated solution. Careers With No Limits makes your business a master of social recruiting and it's as easy as pushing a button. Post your jobs for free and our platform will distribute them across Twitter, Facebook, job aggregator sites and to job seekers by email and to their mobile phones. Your jobs are distributed across more than 10,000 job channels on Twitter so that job seekers can instantly be notified or search for new opportunities that match what they are looking for. All jobs are included on a Facebook application that facilitates referrals by showing interested candidates if any of their friends have inside connections with your company. We make sure your jobs are included in the leading job search aggregator sites such as Simply Hired, Juju and Trovit so that you don’t miss out on this important source of candidates and don’t need to worry about managing multiple accounts. A personal dashboard provides you with an at-a-glance view of how your jobs are performing in real time. Dive deeper to see the distribution sources that are sending you applications on a job-by-job basis. Every job posted using our service is included on this site, which is highly optimized for qualified job search traffic. Job seekers have instant access to your jobs on their mobile phones through our leading smart phone applications, SMS text messages and Twitter. Your jobs are targeted to a growing database of active and passive seekers that have requested to receive notifications by email of opportunities in Houston that match their career objectives. Part-time, student and entry-level jobs are distributed through the world's largest internship marketplace, Internships.com, which reaches students in every city and state in the United States. 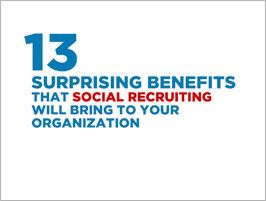 Traditional ROI models don't work for Social Recruiting - but these 13 benefits will get your whole company applauding Social Recruiting. 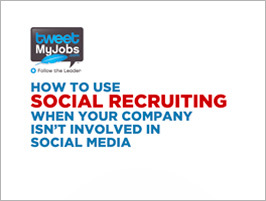 Social Recruiting is essential to successful recruiting in today's world. This white paper highlights key strategies to get started in social media so you can have enhanced job distribution and make the best hires, fast. 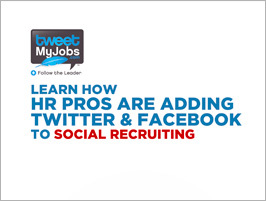 Social Recruiting is only as good as your Social Recruiting Strategy. What's your strategy? Social Media is a constantly evolving technology that is changing the way that society communicates, and in turn is changing the way that companies engage with jobseekers. Stop Guessing - Know the Impact! 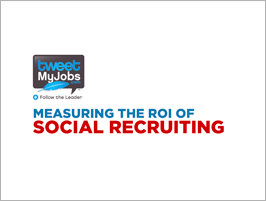 - 5 Simple Steps to Measuring ROI on Social Recruiting. The most important factor in determining how your company will measure ROI on Social Recruiting is communication. 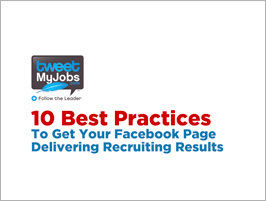 Facebook Pages are becoming one of the best places to recruit talent. This white paper outlines the 10 best practices you should follow to ensure your Facebook Page delivers the recruiting results you're after.